A huge amount of work has gone into this latest release and there are many new features as well as fixes and improvements to existing features. 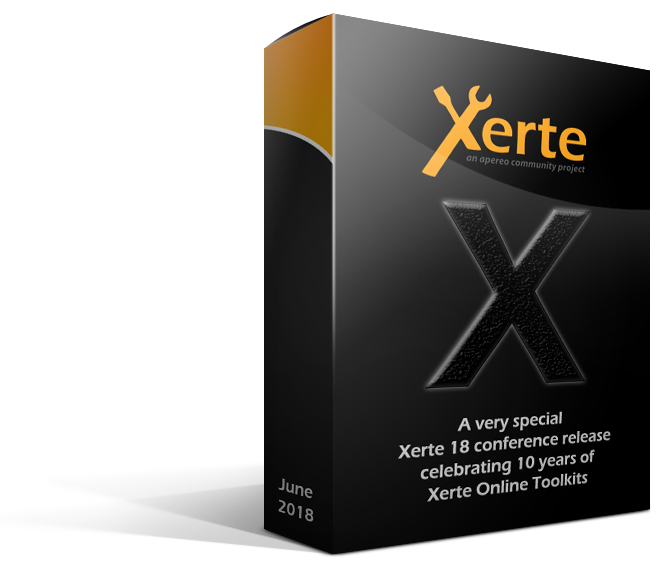 Many of the new features and affordances were demonstrated and discussed at our #xerte18 conference in June https://goo.gl/t1XELV and recordings of some of the sessions are included in those conference pages and delegates at the conference were able to explore and use the special conference release of Xerte X that we made available to conference attendees ahead of anyone else. This release was codenamed Xerte X to celebrate 10 years since the first release of XOT. Do please share your comments via our community site forums, mailing lists and/or social networks and do please share this news with your respective communities. We look forward to seeing and hearing about what you do with this latest release. Many of these new features and affordances will be demonstrated and discussed at our #xerte18 conference in June https://goo.gl/t1XELV including hopefully a special conference release that we plan to make available to conference attendees ahead of anyone else. Codenamed Xerte-X to celebrate 10 years since the first release of XOT. 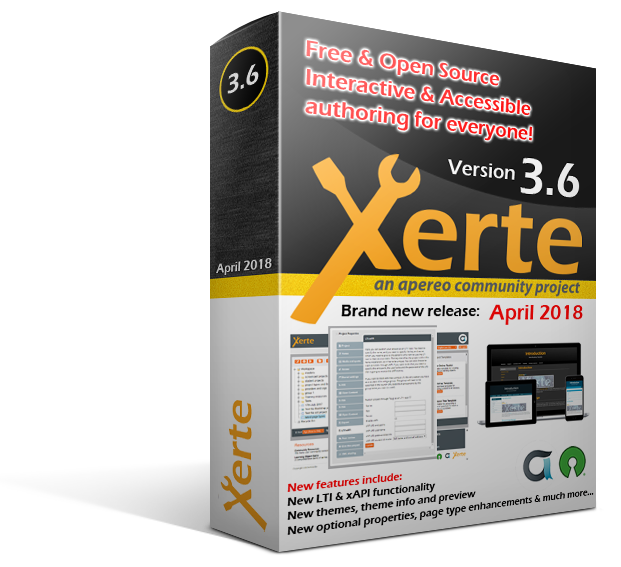 We look forward to seeing and hearing about what you do with this latest release and look forward to seeing many of you at #xerte18.